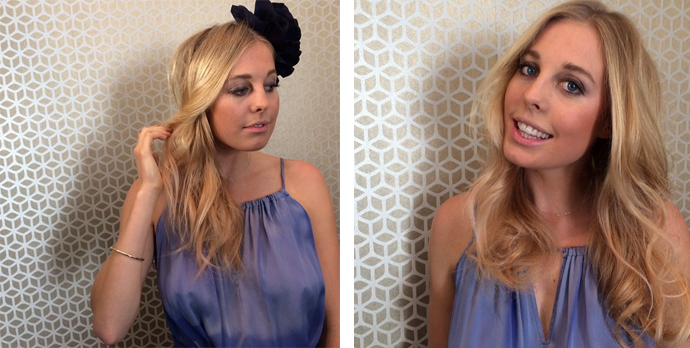 Brad Ngata shows us how to create two fabulous styles that work with a fascinator. This week, we met up with Brad Ngata at his studio, to find out how to use the Casualcurl to create two looks suitable for a glamorous Spring Racing style. Big voluminous curls and texture are such a huge trend right now (thanks to Jessica Alba and Blake Lively), so we're so excited to find out how to create this look at home with this new product! We also asked Brad Ngata to share his tips on how to get the best results using Casualcurl, including how to prep hair, and long to let the curl set. And finally, Brad gave us some great tips on how to create a side sweep style, that will look wonderful with a fascinator, using just a couple of bobby-pins. You can watch this short video on the Missy Confidential Youtube channel here, and please leave a comment! Ps – after you watch the video, enter our competition after to win your own styling session!